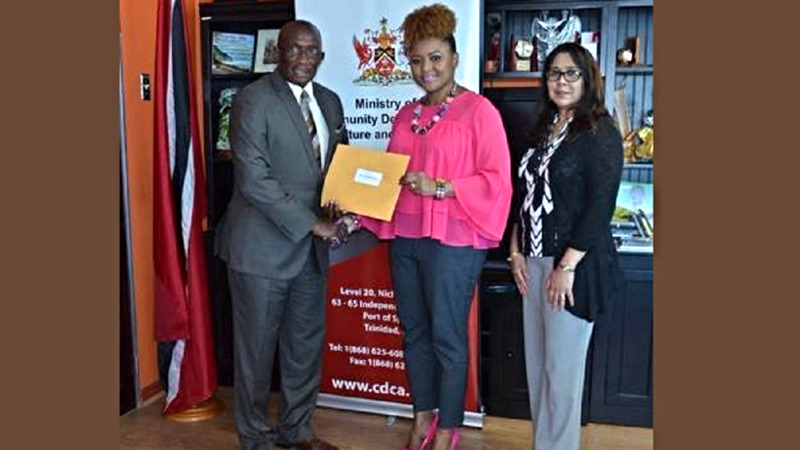 File: Culture Minister Nyan Gadsby-Dolly presents NCC’s Chairman Mr. Colin Lucas with his instrument of appointment in 2017. 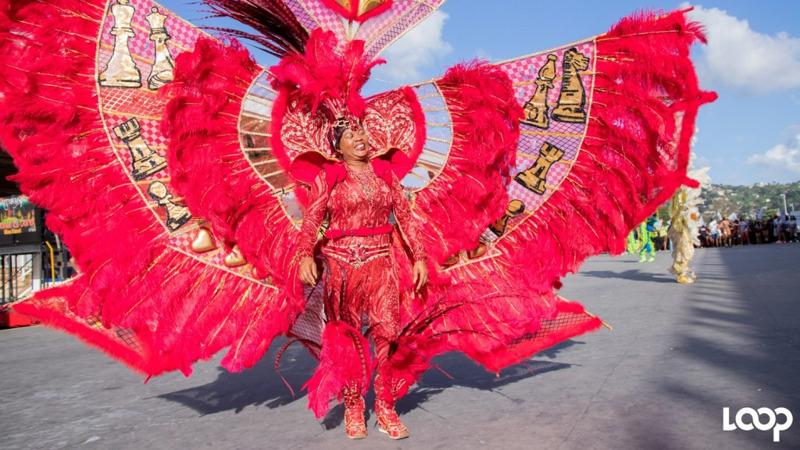 The Ministry of Community Development, Culture and the Arts is dismissing rumours that Colin Lucas was fired as Chairman of the National Carnival Commission (NCC). In a statement issued on Monday, the Ministry said that Lucas was appointed to the position of Chairman on November 16, 2017, and acted as Executive Chairman of the NCC from December 8, 2017 to April 20, 2018, in the absence of a CEO. 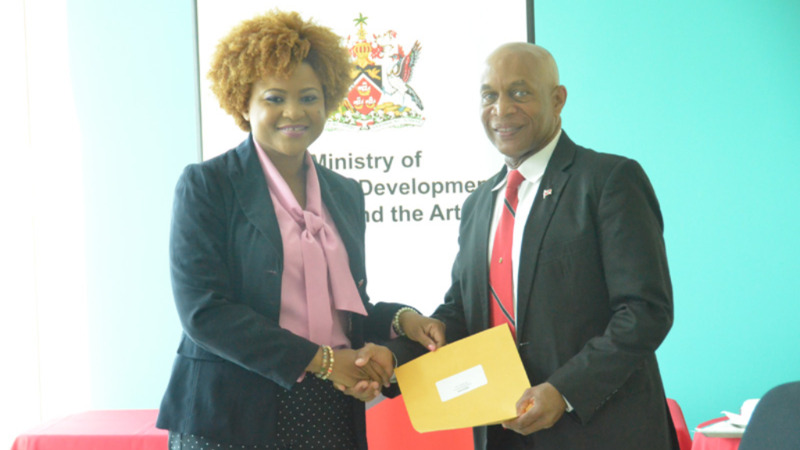 "Lucas is an experienced CEO, whose competencies match very closely those critically needed at the NCC at this time," the Ministry's statement said. "In light of this, consideration is being given to his appointment as interim CEO of the organisation until this position can be filled. This necessitated his resignation from the position of Chairman on April 20 which was filled by Winston 'Gypsy' Peters. Mr. Peters brings a wealth of experience to the position of Chairman. He has a long-standing career in the field of culture as both a practitioner and administrator, having been a former Minister of Culture. 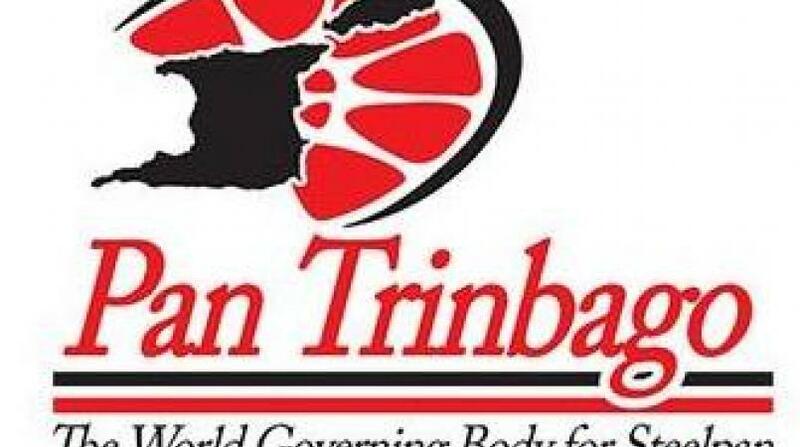 He is dedicated to the service of Trinidad and Tobago and to successfully executing and promoting Trinidad and Tobago’s Carnival." The Ministry added that Lucas' appointment as interim CEO is presently engaging the attention of the Board of the NCC.